Ramside Hall in County Durham is a hotel that I remember well from my childhood. I have wonderful memories of family visits and in particular a huge New Year’s Eve party during my university years, with everything from cascading prawns, balloons, streamers, a cool live band, singing and dancing into the early hours… that’s what the best hotels are made of: memories which last forever. This establishment, the largest privately-owned luxury hotel in County Durham, celebrated half a century of hospitality in 2013 – fifty years is the magic coming-of-age number that gives you entry into the world of historic and heritage hotels. 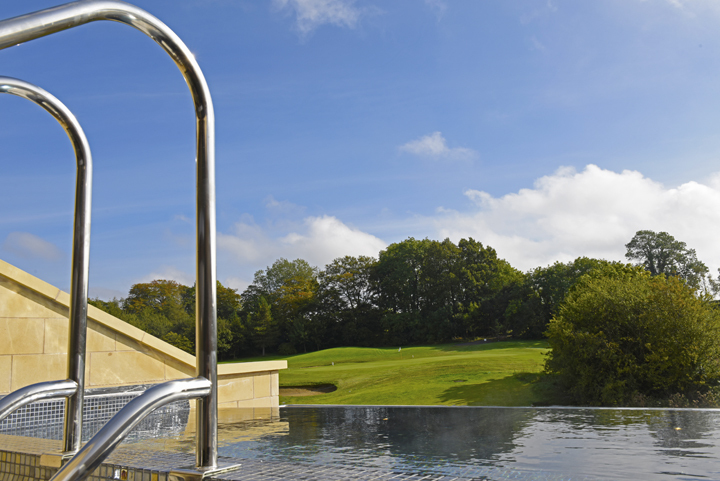 I specifically chose the Ramside because of the rumours I had heard on the luxury hotel grapevine – a £16-million budget had been mentioned, for a state-of-the-art spa and a brand new wing of 47 bedrooms. Apparently the spa was to have five pools, including the UK´s largest hydrotherapy facility. Situated on the outskirts of Durham, it has an ideal location for golf, business and leisure. 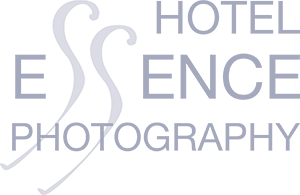 County Durham´s newest luxury spa at Ramside Hall. This is a family-run hotel, which I think always makes a huge difference, especially in attention to detail. Ramside Hall´s Managing Director, John Adamson, has followed in the footsteps of his his late father, Michael Adamson. Michael was awarded an MBE for his services to hospitality and tourism in the North-East of England, while his widow Miriam still keeps a keen eye on those little things that make all the difference. During my five-day stay I spotted her on several occasions, adding her final touches – straightening a cushion or calling a waiter’s attention to attend to a guest’s request. A family-run establishment is so special, because that passion is something that money can´t buy. 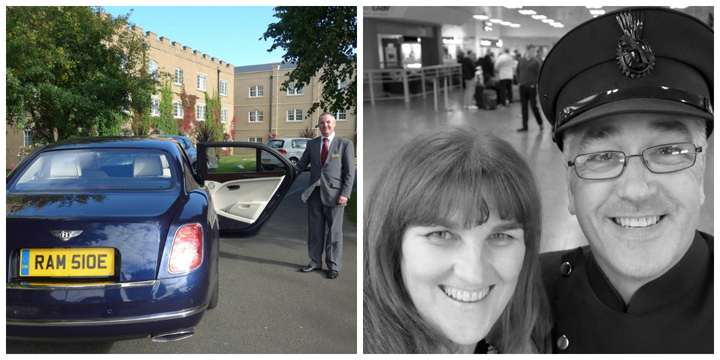 I flew with my favourite airline, British Airways, from Gibraltar via Heathrow to Newcastle, to be met by the hotel´s charming, impeccably-dressed chauffeur in an elegant grey suit – door-to-door Bentley airport transfers show that extra care for guests. The North-Easterners are a fun-loving lot, and as the driver took my silver-grey cosmolite case, two Geordie travellers remarked, “Eeeeeh, look at him, smart as a carrot man – he even has a case to match his suit.” I couldn´t help laughing – I was a few steps behind and I kept the remark to myself. Although I left Durham when I was 18, I will forever have a fondness for the city and the people of my home town. The chauffeur told me that John Adamson has dedicated the spa to his own father´s memory, so I was even more interested as I know that John would want to make his father, and predecessor proud. I was here to celebrate my birthday and spend some quality time in England with my 80-year-old father, obviously I knew that the hotel would warrant the photos for this blog, so my camera came along too. The rooms are extremely spacious and the loft-style black and white bathrooms, with freestanding baths, spacious showers and loads of counter space, make you feel very much at home. 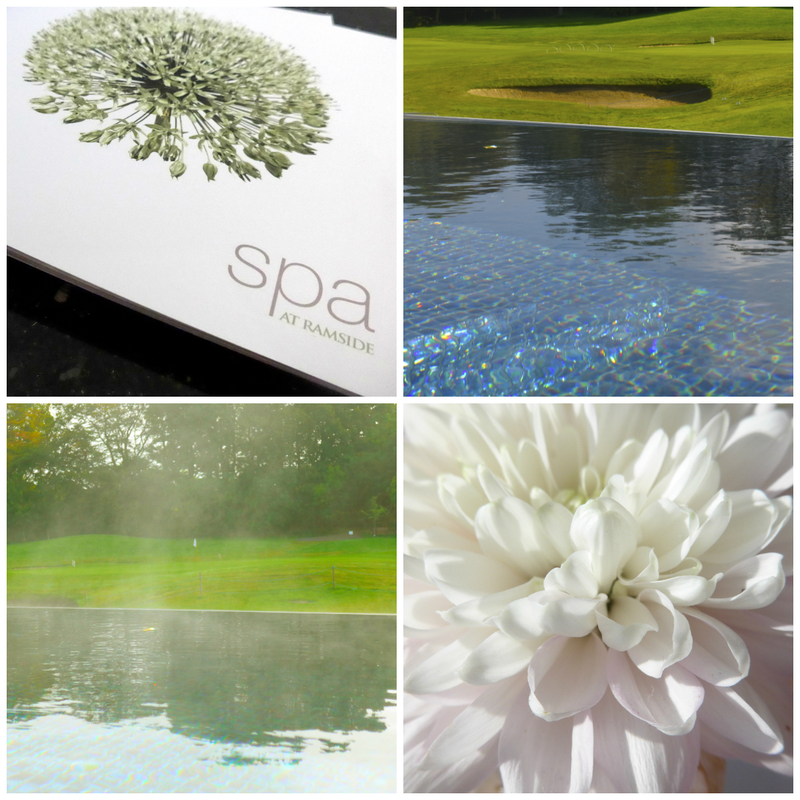 The spa is indeed one of the best I’ve seen in the UK, with a full-sized 25m pool offering loads of room to swim, while the thermal suite includes a Herbal Infusion Sauna, Himalayan Salt Steam room and much more – they even have an infinity-style stainless steel hot tub looking over the 18th hole. I loved the heated beds too. 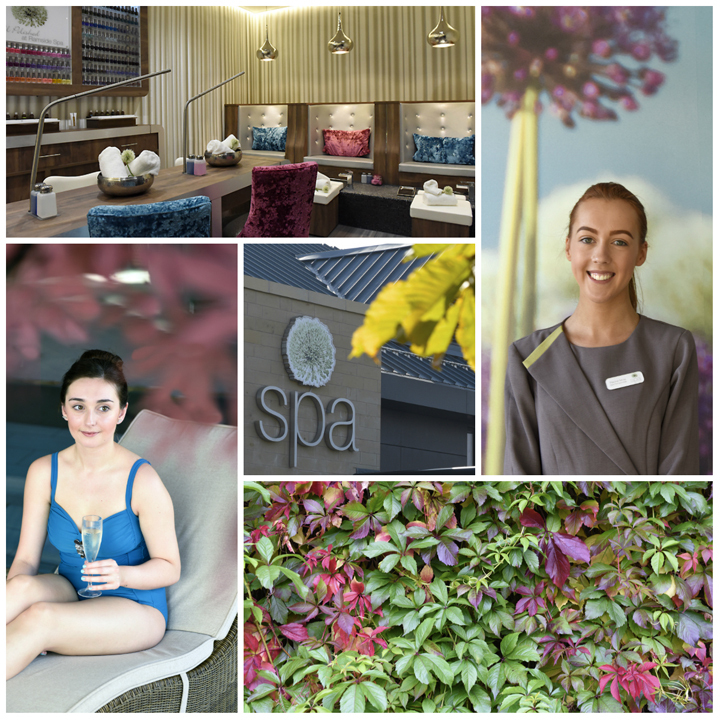 The North-East is renowned for parties and this spa facility has a jolly atmosphere. I saw several groups of friends and family, mothers and daughters chilling out together, relaxing, with a glass of champagne or two, pondering over the treatments and the delicious menu from the Asian spa restaurant. They even have a room dedicated to mani´s pedi´s and make up plus an onsite hairdressing salon so that you can really make a day of it and leave in style. I also loved the long opening hours – you can swim until 10pm, which is great when you want to unwind and stretch your muscles before bed. With 15 treatment rooms, a sleep sanctuary, and an Asian-fusion restaurant, the whole facility has a truly impressive offering. Nearby, the historic city of Durham has much to offer, and you can get all the sightseeing in during the day and still have time to visit the state-of-the-art spa in the evening. County Durham is on the up in terms of spa hotels, and this is certainly one establishment which stands out from the crowd and offers superb value for money. After five nights of spa time, a birthday party and lots of great conversation, there was yet another treat in store. The hotel´s chauffeur on my return trip is a dear friend of the owner and an old school friend of mine from Johnson Grammar School in Durham. I arrived in style and returned to the airport, with an old school friend, you can´t ask for more. The whole trip from door to door was flawless – we had so much to catch up on the way to the airport! This is one hotel that I will be sure to return to – for me it really was a home from home. I can’t wait to check out this new Spa Hotel on my next visit to the North East England area from California when I come back to visit family and friends. Definitely worth an R&R visit Julia and so handy for Durham city.